Once you've selected your roadster, cruise along the Necanicum River, explore Holladay Drive or Roosevelt Drive, or race to one of Seaside's fantastic eateries. 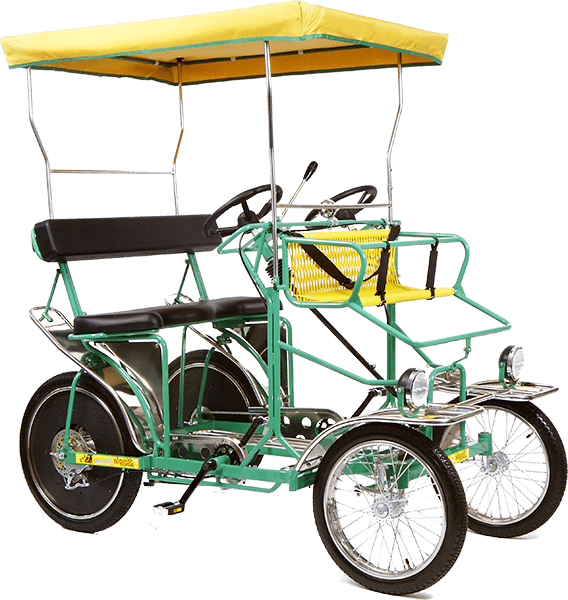 Whether you are a local or visiting Seaside for the first time, don't miss this unique way to explore the area! The undisputed limousine of bikes! 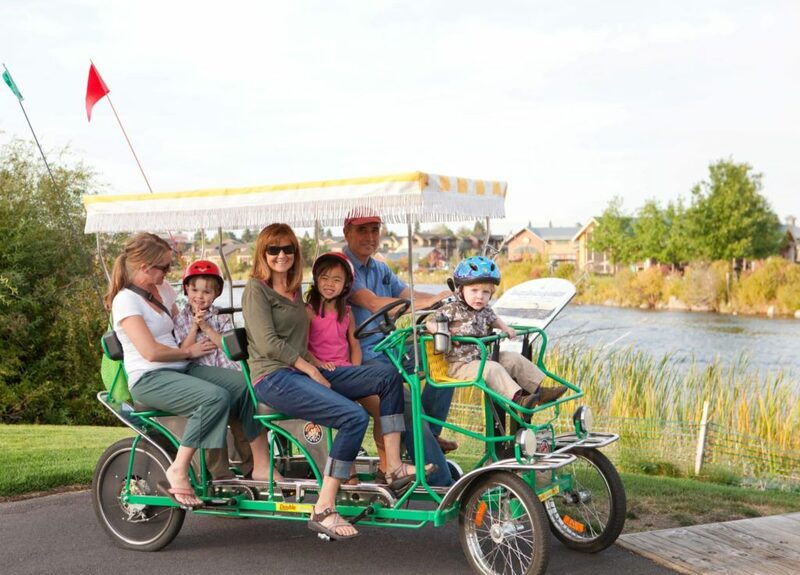 Stretch out with your group of friends (or large family) on our ridiculously fun cycle. It's Wheel Fun for the whole group. 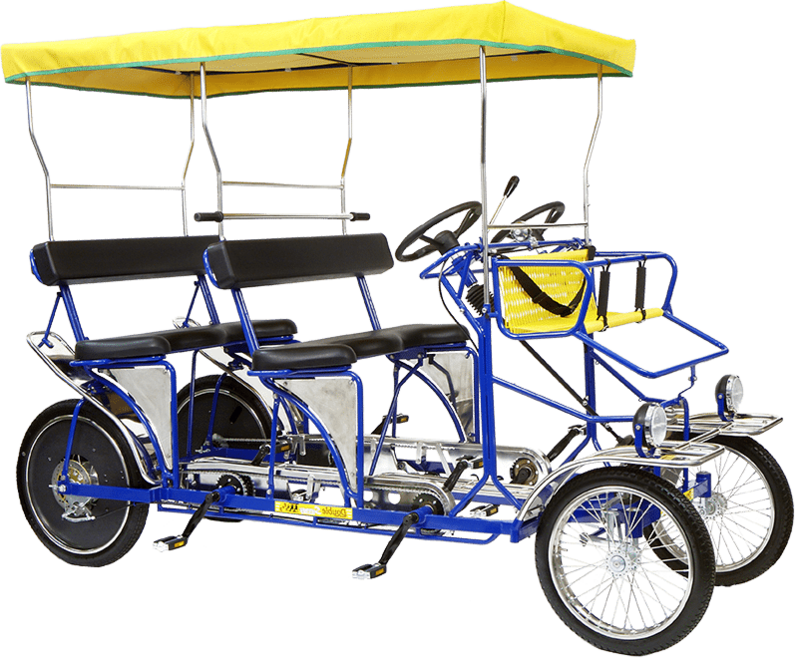 We have offered our 4-wheeled cycles for over twenty years, and this cycle is the ultimate party on wheels. 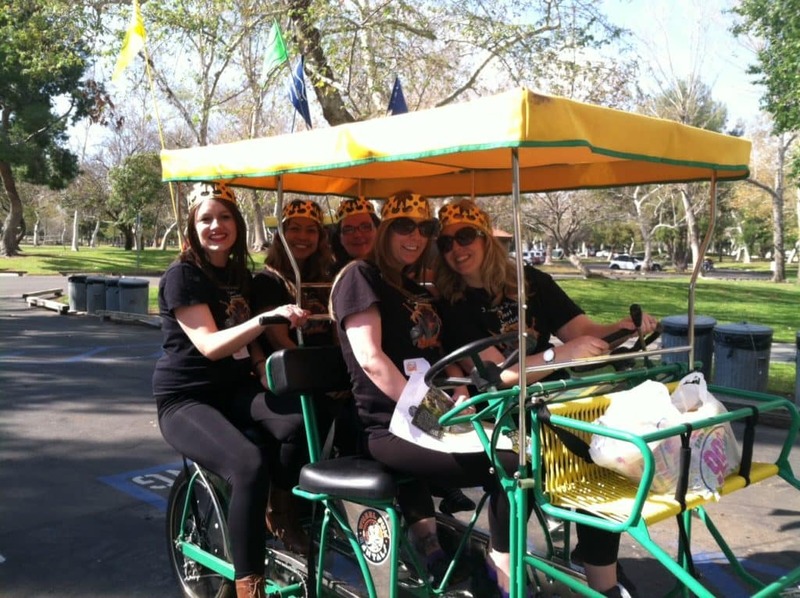 Your extra pedaling power brings extra cycling fun on a triple date or group of friends! Perfect for family reunions, birthday parties, and more! Move over bicycle trailers and rear-mounted seats, the Safe-T Seat is here. 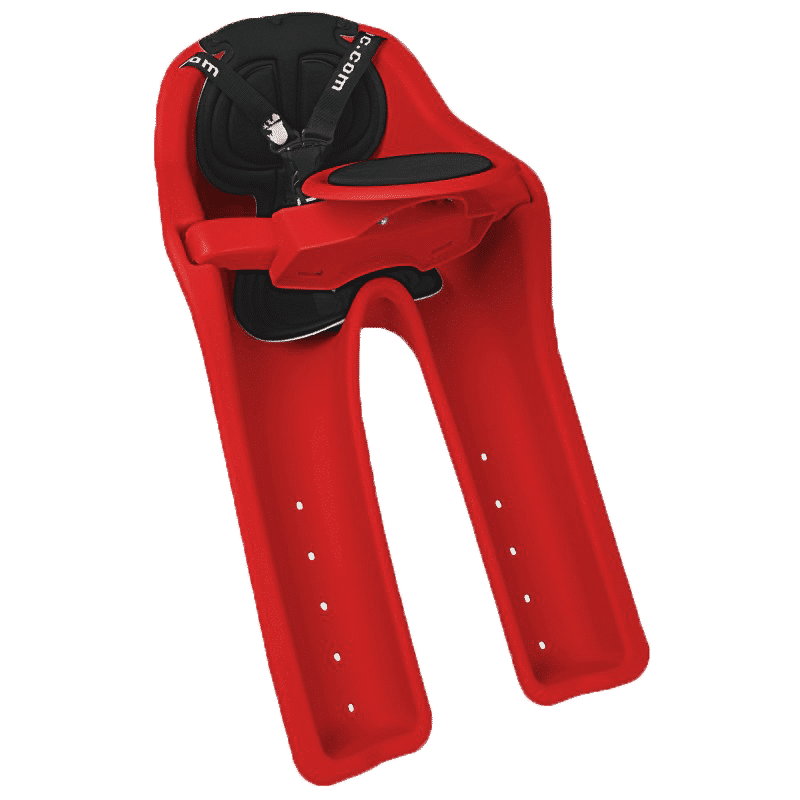 Built by a cycling family for cycling families, the Safe-T seat was developed to provide a more enjoyable ride for children who are riding with parents. The raised seat prevents dust and rocks from kicking up into their eyes and allows a better view of the surroundings. 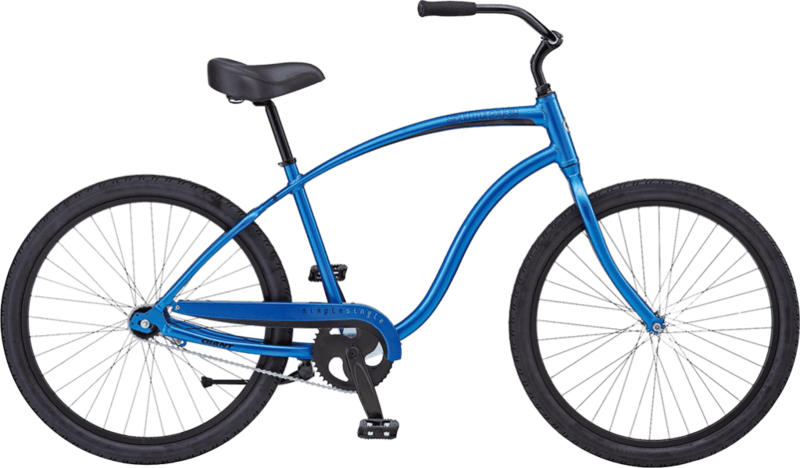 Plus, it'll be much easier to communicate with your little biker than it is with traditional bike trailers. 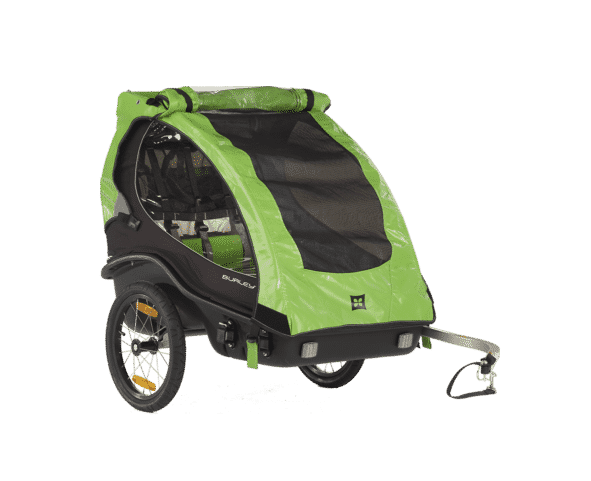 Light and easy to use, the kids trailer is a great way for the whole family to go outside and explore the outdoors. 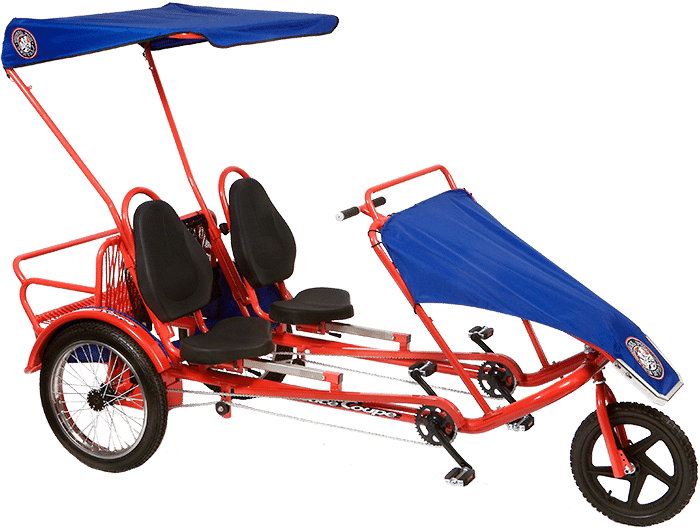 Whether you're biking on city sidewalks or enjoying bike paths, you'll appreciate the secure harness system for your kids and UV light protection, and who wouldn't want to relax back there? Electric Cars may only be driven on city streets. They are not allowed on sidewalks, the Promenade, the beach or highway. 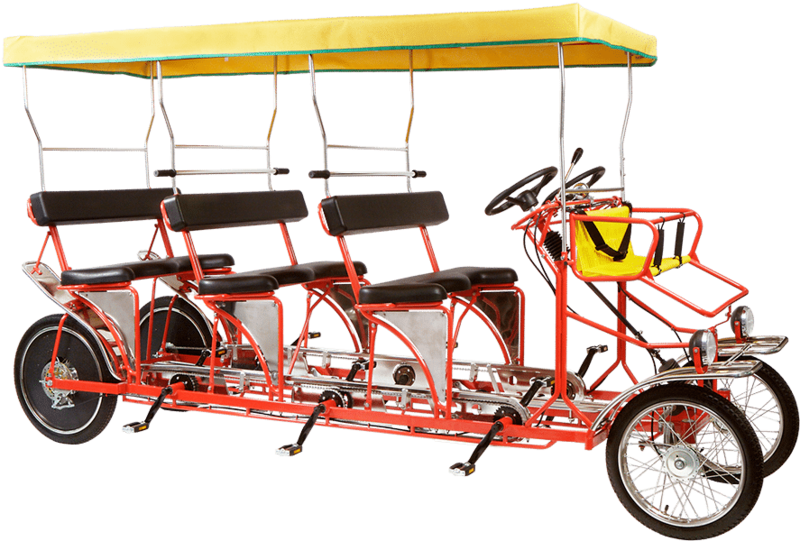 A maximum of 4 people may ride in an Electric Car. Seat belts are required. Drivers must be 21, possess a valid driver's license and post a $200 credit card deposit. 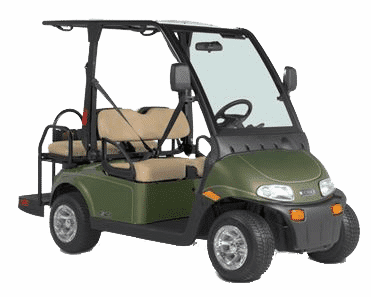 Electric cars have a 800 lb weight limit. Mopeds may only be driven on city streets. They are not allowed on sidewalks, the Promenade, the beach or highway. 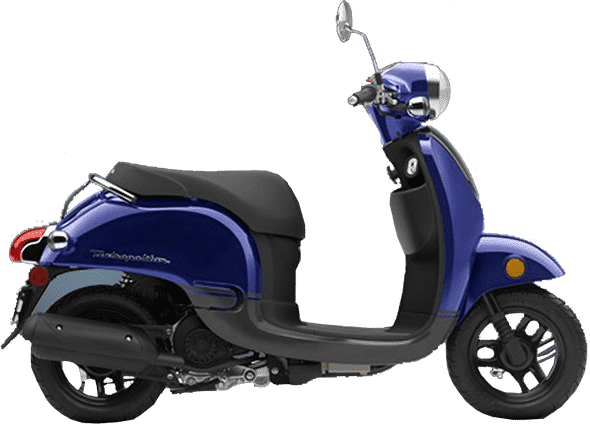 It is against Oregon law to carry passengers on a moped. Helmets are required and provided. Drivers must be 21, possess a valid driver's license and post a $200 credit card deposit. Mopeds have a 275 lb weight limit. 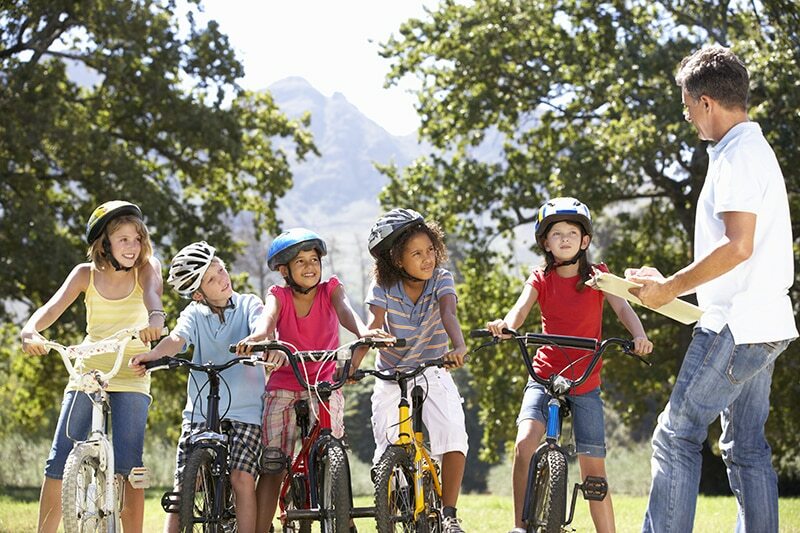 – All riders under 16 must wear a helmet – Oregon State Law. 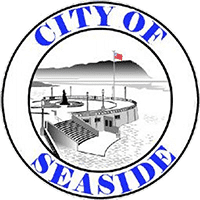 – Surrey driver must be 16 or older.